Judy Orton Grissett is an Assistant Professor of Psychology at Georgia Southwestern State University, and she has been working with OER within many courses. Her Round One Textbook Transformation Grants project involved her being a direct instructor for PSYC 1101 course sections. In Round Two, she was involved with one of the first Transformations-at-Scale projects, a multi-section and multi-course implementation within both Psychology and Sociology. In Round Four, she became a team member of two additional projects, covering three more courses. Dr. Grissett is highly involved with both advocacy and Teaching and Learning research in OER. 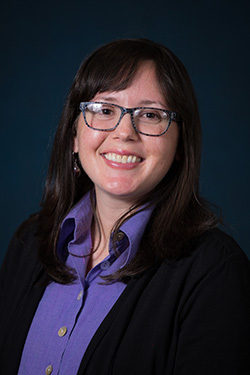 She is a USG Scholarship of Teaching and Learning (SoTL) Fellow, where she shares her experiences and research on OER with on-campus stakeholders, as well as with the broader USG community. Recently, she was selected as an OER Research Fellow, a Hewlett Foundation-sponsored fellowship encouraging research on the cost savings, efficacy, usage, and perceptions of OER.